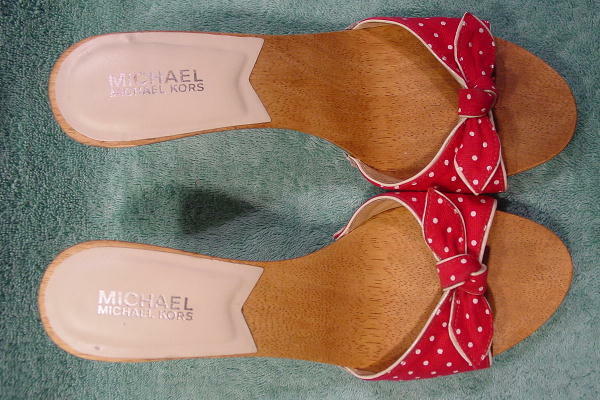 These wood based slide sandals are Michael Michael Kors. 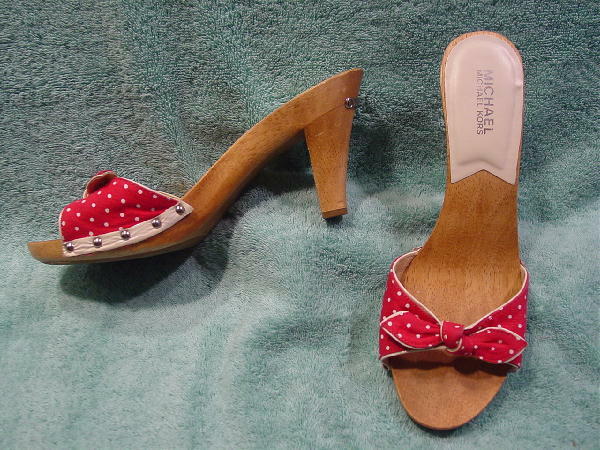 They have a light cherry red with white dots accent fabric strap which has a dark bone leather foot heel lining. The fabric has patent trim with five silver-tone studs on each side. The soles and heels are manmade (rubberized appearance). They have a padded foot heel with Michael Michael Kors in silver lame letters. 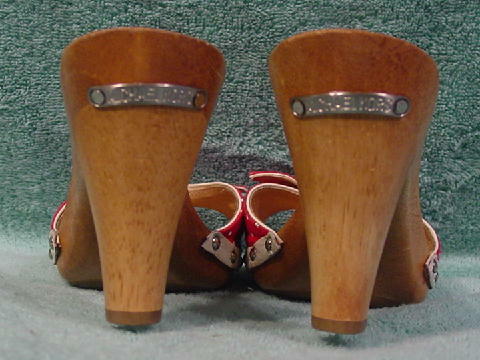 On the back of the heels is a silver-tone metal ornament with Michael Kors etched on it. The fabric is tied in the center. The right shoe padded heel has two spots where the leather is missing.